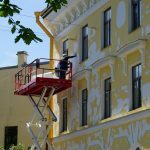 Home » Fall Exterior Painting – Am I Too Late To Paint Outside? Did I miss my exterior painting window? Do I have to wait until next year? The answer is: No, you don’t need to wait — it’s not too late! Fortunately, long-lasting paint work can happen well after Labour Day! Paint manufacturers used to advise not to paint outdoors in temperatures under 10 degrees Celsius, but exterior coating technology has come a long way. Now, top-line paints, such as Duration from Sherwin-Williams or Diamond from Dulux, can be applied in temperatures as low as 2 degrees Celsius. 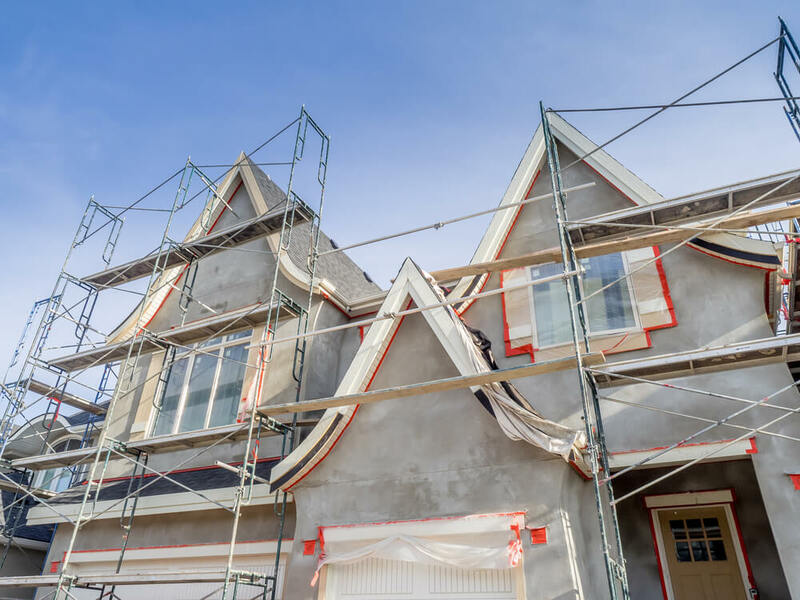 If the rules for top-quality exterior paint jobs are respected, cold-weather painting work performs just as well as if it had been done during the summer. Scraping and sanding to prep exterior surfaces in the morning, then applying primer and paint once the air and surface to be painted have warmed up. Painting a surface in, or just after, direct sunlight during the time of day when it is warmest. Performing a first maintenance coat in the fall season, and then returning the following spring to apply the final coat. Some seasoned pros even prefer the way the cooler weather dries paint more slowly in their brush as they work to apply it. Some painters will even crack open a window of an interior room to cool the air and get that sweet spot of paint flow from their brushes and rollers. Using a New Approach, there’s always a way to a fantastic-quality, late-season paint job on the outside of your home. Did this article rekindle your hope to get some outdoor painting done this year? If so, get in touch with us for a professional, detailed quotation and plan of execution. We’ll be glad to spruce up your home before the snow flies. Even if winter comes early, don’t despair, we’ll be pleased to pick up where we left off, with a booking first thing in spring 2019.